Continental styling combined with quality, innovation, and superior production techniques gives Villeroy & Boch a clear lead in the race for ceramic superiority in the bathroom. 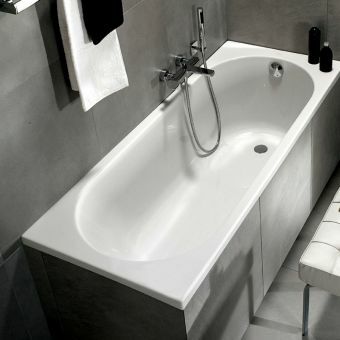 Combined with Ceramicplus, every basin and toilet will exude stylish opulence for a fresh new bathing experience. Developing options for WC spaces with a variety of requirements, Villeroy and Boch toilets cover a broad spectrum from wall hung and close coupled models, to syphonic urinals and bidets. 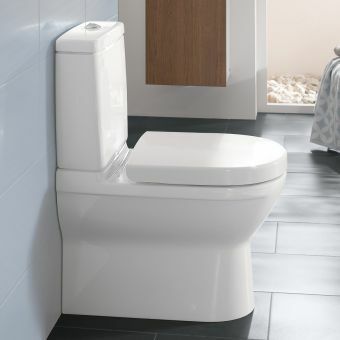 Villeroy and Boch Subway 2.0 Rimless Floor Standing WCFrom £427.20 inc.VATFloor standing back to wall WC, one of the bestselling V&B BTW toilets with a slim seat or a standard style seat. 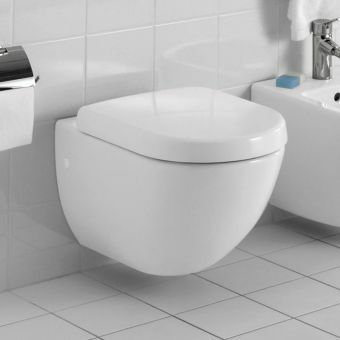 Villeroy and Boch O.Novo Close Coupled Closed Back WCFrom £244.80 inc.VATClose coupled toilet with a closed back shape to conceal waste pipework, one of the most popular V&B WC's! 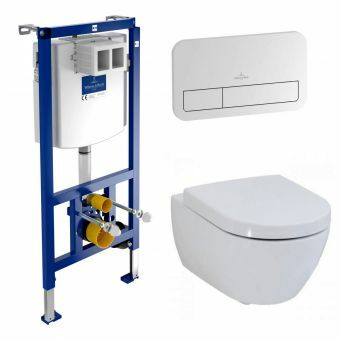 Villeroy and Boch ViClean I100 Shower ToiletFrom £2397.60 inc.VATModern rimless shower toilet with remote control, functions include self cleaning HarmonicWave water jet. 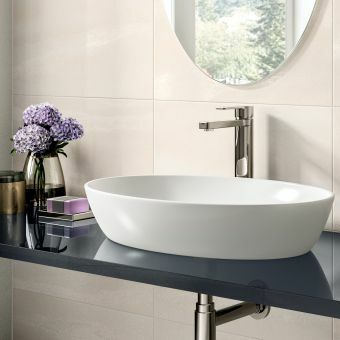 As a household name and a global brand, Villeroy and Boch deliver basins that can be found in countless homes and businesses, chosen for their dependable build and broad spectrum of application. 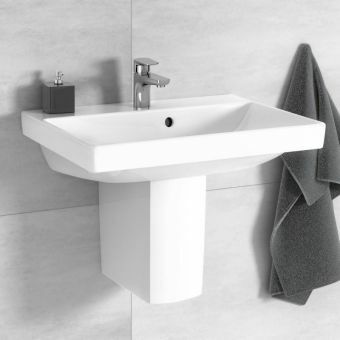 V & B Antheus Countertop Basin£651.60 inc.VATSurface mounted Villeroy and Boch bathroom basin, made from super tough TitanCeram with easy clean. V & B Antheus Vanity WashbasinFrom £920.40 inc.VATVilleroy and Boch vanity washbasins from the stunning Antheus range, 1200mm or 1000mm in width. 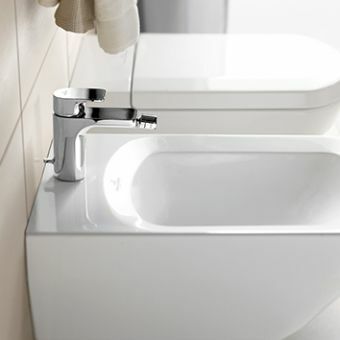 Villeroy and Boch Venticello Small BasinFrom £242.40 inc.VAT500mm small hand wash basin, with 1 central tap hole. Option to upgrade the basin to easy clean CeramicPlus. 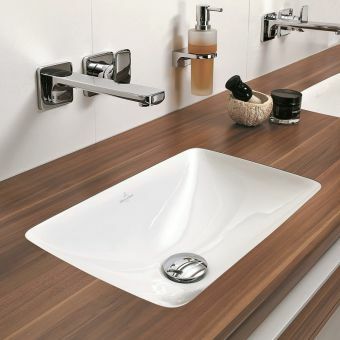 Villeroy and Boch Memento 2.0 Countertop BasinFrom £392.40 inc.VATCountertop surface mounted basin in 600 or 500mm. Colour options include concrete, black and white. 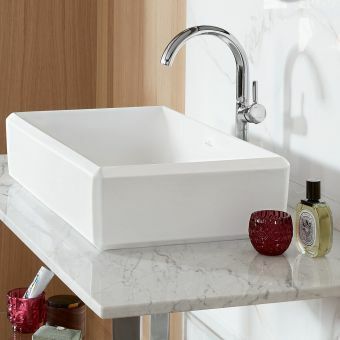 Villeroy and Boch Artis Oval WashbowlFrom £609.60 inc.VATOval shaped counter top wash bowl with optional basin waste, colour on demand bespoke options also available. Beautifully made furniture for the luxury interior space, Villeroy and Boch vanity units realise the full potential of your bathroom area. 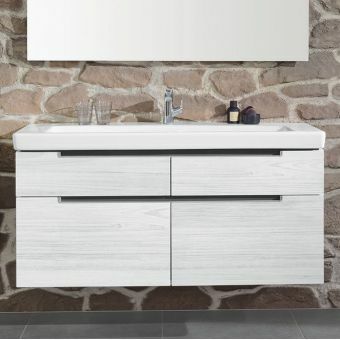 We also have a great offering of Villeroy and Boch Bathroom Cabinets to perfectly finish your new bathroom. 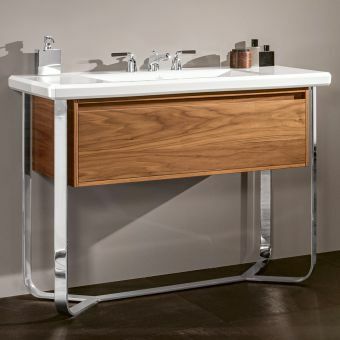 Villeroy and Boch Antheus Vanity Unit with Steel WashstandFrom £3660.00 inc.VATA stunning washstand and vanity unit combination designed by Christian Haas for Villeroy and Boch: Antheus. 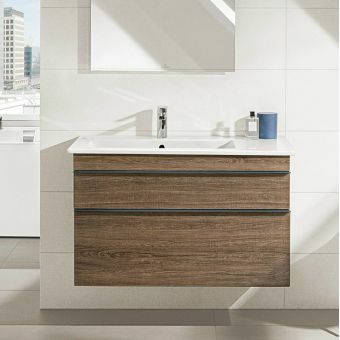 Villeroy and Boch Antheus Vanity UnitFrom £1740.00 inc.VAT1000 or 1200mm wide, 2 colour finishes: Black ash or American walnut. Wall mounted, designed by Christian Haas. 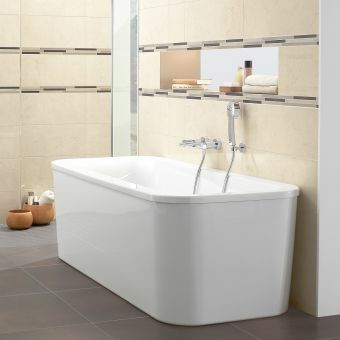 Both freestanding baths and inset bath tubs are available from this collection by Villeroy and Boch, with an emphasis placed on comfort and a clean, presentable finish. 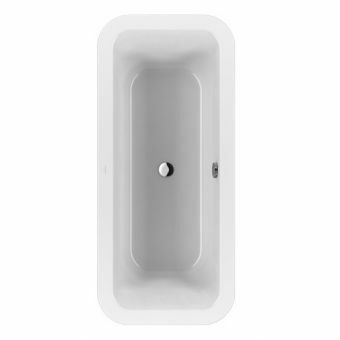 V&B Squaro Edge 12 Freestanding Bath£2841.60 inc.VAT1800 x 800mm, special colours available! Free standing bath with panel. 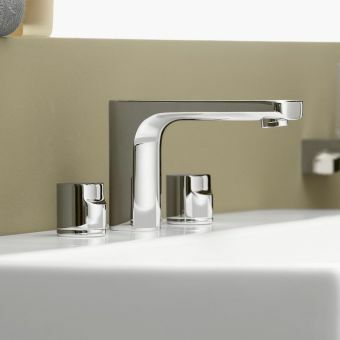 Villeroy and Boch Bathroom Taps use simple forms for maximum effect. 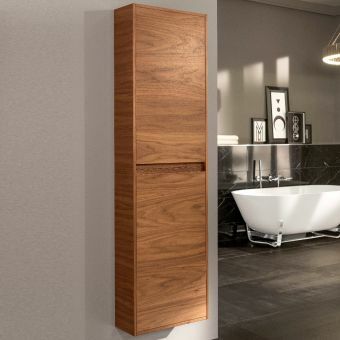 Whether wall mounted or deck mounted, they bring a direct and bold aspect to the basin area. UK Bathrooms showcase a range of bathroom products, featuring experienced craftsmanship and an exceptional eye for design from a range of companies, including Villeroy and Boch. Free DeliveryVilleroy and Boch Cult Shower ValvesFrom £277.45 inc.VATRRP: £396.36 (Save 30%)Choose from 1, 2 or 3 outlets to control 1, 2 or 3 shower heads, handsets or even a bath filler or spout from 1 control. A shower tray is the flat water resistant base of your shower unit, a real bathroom essential. It is all too easy to underestimate the importance of selecting the right shower tray for your bathroom environment. The most prestigious solution to less cleaning in your bathroom. A high-quality surface treatment which is permanent and is included on many V & B ranges. The water drops containing the dirt simply slide off the side of the basin or the inside of the toilet so you can benefit from 90% less cleaning. Your normal cleaning solutions won’t affect its integrity leaving you with a hygienic bathroom, free lime scale and dirt. The latest production techniques are used to produce their products which are sold all over the World. Whether it is the veneer on furniture or the seamless finish on a basin interior, their quality control is second to none. Innovation is at the heart of all products produced in the Villeroy and Boch design centre. Performance coupled with an array of harmoniously designed basins, toilets and baths are created to exacting standards making the look and feel of your bathroom unequalled. Experience the latest high tech toilet technology designed to create a sense of wellbeing using a shower toilet that looks good as well as delivering the ultimate in cleanliness. A remote control makes operation simple and a stream of warming air soothes and dries. Coupled with a Subway 2.0 or Vivia toilet, odours are also removed from the surrounding area leaving your bathroom smelling fresh and clean. A designer bath may be a luxury but the attention to detail and individual aesthetic appeal of their baths is clear from the first indulgent soak. Produce a place to spend time pampering yourself whether it is in a standard acrylic 1700 x 750mm or a floor standing Aveo large enough for two. 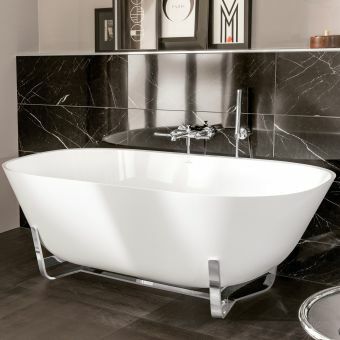 Baths from V & B add a sense of grandeur that is unequalled in bathing circles. With over 260 years of inventiveness and foresight Villeroy & Boch have produced a diversified range of products in both the Tableware and Bathroom and Wellness divisions. Villeroy and Boch are at the forefront of design and technology and a range of their products can be here at the best price online. Who are Villeroy & Boch? Villeroy & Boch has one of the oldest pedigrees in the bathroom industry. Originally founded by an iron master François Boch in 1748 in the small Lorraine village of Audun le Tiche. it is now one of the worlds most recognisable names in the bathroom industry and is sold in over 125 countries worldwide. Villeroy and Both has manufacturing sites in 8 European countries and 2 non-European countries. It is truly a brand of quality and heritage. The company over the years has developed an enviable range of high-quality ceramic products including the renowned single source bathroom. In recent years, Villeroy & Boch has been able to present numerous technical innovations which have led to a high degree of uniqueness and value of their products. Examples of this are the easy-care ceramic finish, "CeramicPlus", the "AquaReduct" water-saving module for WC flushing, the concealed overflow which eliminates the need for unsightly overflow holes and "Magic Basin", a washbasin whose new sensor system replaces taps and fittings. The problem of toilet odours is solved by the "PurAir" WC, the first toilet with an integrated system for actively eliminating odours Patented material "Quaryl" enables Villeroy & Boch to produce baths and shower trays in completely new designs. In addition to this, as its name suggests, the "Light Tile" introduces the element of light into interior design in the form of a tile, utilising light-emitting diodes into high-quality tiles, the tile itself becomes a source of light which can be used as an exclusive design element or as a guidance system to light the way a design leader in the field. The problem of toilet odours is solved by the "PurAir" WC, the first toilet with an integrated system for actively eliminating odours Patented material "Quaryl" enables Villeroy & Boch to produce baths and shower trays in completely new designs. In addition to this, as its name suggests, the "Light Tile" introduces the element of light into interior design in the form of a tile, utilising light-emitting diodes into high-quality tiles, the tile itself becomes a source of light which can be used as an exclusive design element or as a guidance system to light the way a design leader in the field. In addition to this, as its name suggests, the "Light Tile" introduces the element of light into interior design in the form of a tile, utilising light-emitting diodes into high-quality tiles, the tile itself becomes a source of light which can be used as an exclusive design element or as a guidance system to light the way a design leader in the field. Why Buy Villeroy & Boch? 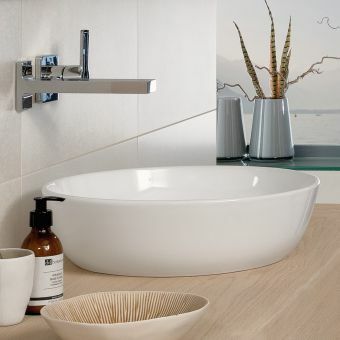 You can be confident with any Villeroy & Boch product that it is going to last and look great. 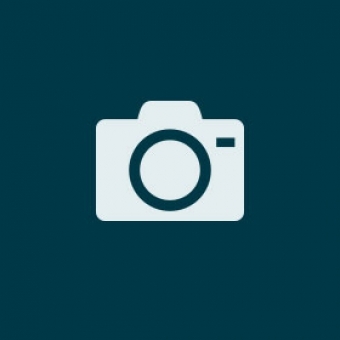 There are far cheaper products on the market and they may look like a great deal. Plenty of people think a toilet is a toilet, and they will just buy the cheapest toilet they can. Not all toilets are equal. It's not until you see the two you can appreciate the quality. A lot of care and attention is taken when producing a Villeroy & Boch product. The ceramic is a better quality, it's thicker and the finish is of a higher quality. When used with Ceramic+ the longevity of its clean and finish is even better! The old adage is very true here; you do get what you pay for and in this instance, it's a quality and finish that cannot be matched. Open and honest, Subway 2.0 is one line in the new wave of products from leading European designers Villeroy and Boch. Building on the successes of the Subway range, the 2.0 line incorporates the values of function and form into a streamlined whole. Demonstrating an elegant beauty in their modern minimalism, Subway 2.0 includes a high level of modern technology behind its simple exterior. Toilets within the range include the DirectFlush system, which hygienically rinses the entire bowl with little water usage for a fresher, cleaner presentation. Perfectly complementing the sanitary ware is the crisp line of bathroom furniture. Rounded corners follow the contours of the ceramic pieces, with recessed handles continuing the theme of efficient and innovative design with a user-centric orientation. 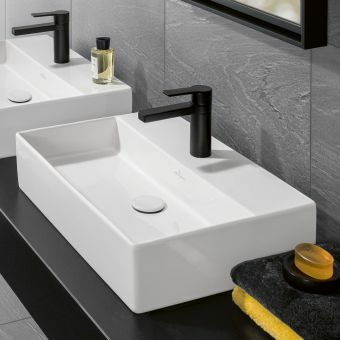 Pure and simple, the Villeroy and Boch Subway range of sanitary ware is one of the most popular choices among the hotel sector. Taking clean lines and a professional appearance as the basis of its design, Subway is a sound choice for a clean finish. Re-branded Soho in 2014 and repriced to appeal to a larger audience, the Subway/Soho range is still one of Villeroy & Boch's most popular if not most popular range they offer As part of this re-brand they amalgamated many of the Central Line furniture vanity units, and limited the colour finishes to Matt White, Gloss White and Macassar Deco (their most popular colours). These two were re-branded from Central Line to Soho respectively. The Soho range was only open to a select few retailers when introduced in the UK, UK bathrooms being one of these. We made the decision back then to keep the naming of this range to Subway; however, over the last year or so Villeroy & Boch have opened this range out to many more retailers making the Soho brand a more popular name Subway lends its adaptable demeanour to easy layouts and interior designs. Giving the user the options for basins, baths, Toilets and bidets, with floor or wall mounted options for the latter, Subway has the capacity to deliver a fully coordinated interior. Innovated by Villeroy and Boch, the optional CeramicPlus treatment can be easily added to products in the Subway range. Its specially designed formula adding a protective sheen to the surface that actively repels dirt and staining for a longer, brighter appearance. 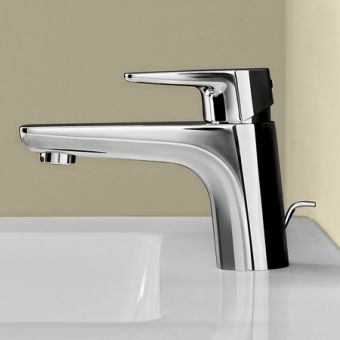 Featured in the image above are the Villeroy & Boch Subway Sink and Unit (Which has now been updated), the Villeroy and Boch Subway Bath, Villeroy & Boch Taps & the Villeroy & Boch Subway Toilet and Bidet. Villeroy & Boch Venticello is one of our favourite ranges here are UK Bathrooms. The range exudes clean thin lines and a sense of weightlessness about the range; especially the Venticello Furniture. As a Villeroy & Boch Specialist Retailer, we sell the entire Venticello range, far more than you see online. 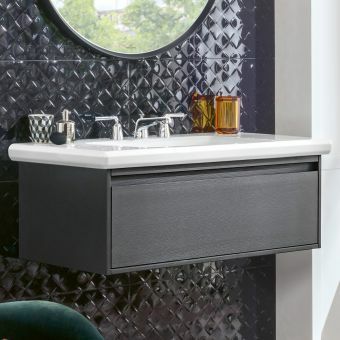 The V&B Venticello Vanity Units are available in a multitude of different sizes and finishes, so you can be confident that you will find something within the range that will fit with your bathroom; from the tiniest of cloakrooms to geraniums bathrooms. Our pictures can never do the finishes justice but, the Venticello Furniture finishes are truly breathtaking and will pull together your bathroom. DirectFlush features heavily within the Villeroy & Boch Venticello Toilets, as rimless appears to be the future of WCs as it is a far more hygienic and easier to maintain toilet. 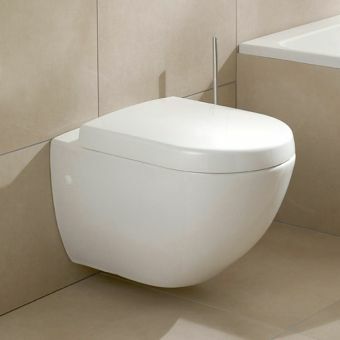 As with most Villeroy and Boch Toilets, the Venticello WC's can be ordered in a standard finish or a CeramicPlus. Featured in the image below is the Villeroy & Boch Venticello Wall Hung Toilet & Bidet, The Villeroy and Boch Venticello Vanity Unit & Basin and the Venticello Side Units. 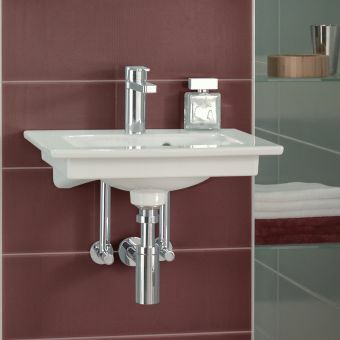 The Villeroy & Boch Avento range of sanitaryware items represents great value for money from Villeroy and Boch. You will not be able to find Furniture and ceramicware of this quality for a better price in the industry. 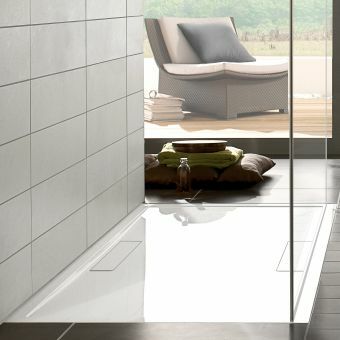 The Villeroy and Boch Avento bathroom furniture comes with an acrylic glass front. The finish creates a clean contemporary finish, that is easy to wipe down and maintain. You do not have to worry about peeling veneer as you do with some lesser quality items. All the Avento Toilets benefit from the latest in DirectFlush technology developed by Villeroy & Boch. The Direct Flush is a newer version and progression of the already popular rimless WCs. Described by Villeroy and Boch as surprisingly affordable, the O. Novo range goes to show that creating a bathroom around stylish pieces by leading brand names does not have to break the bank. A comprehensive range of bathtubs, basins, shower trays and WC units, the O. Novo line brings with it the opportunity to fit out an entire bathroom, or bathrooms within the multi-room residence or hotel. 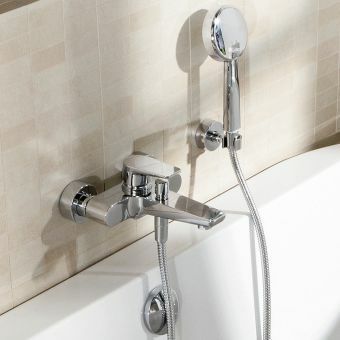 Classically designed pieces with a continental style have a timeless quality and a hygienic, professional appearance that is applicable to the family home as well as the commercial environment while retaining fully accessible price points. All O. Novo ceramic ware is created with a sealed surface and anti-slip treatment where appropriate, for a safe, comfortable and easy to clean appearance. Designed to retain their factory finish, the O. Novo is a truly ageless range that will endure for years to come. Favoured by the commercial buyer as much as the domestic shopper, Architectura has been fashioned with a strong design aesthetic for the 21st-century living space. Taking clean, bold lines as its cue, the Architectura line is distinctly continental in its guise, its presence within the bathroom or cloakroom instantly adds a new level of sophistication. 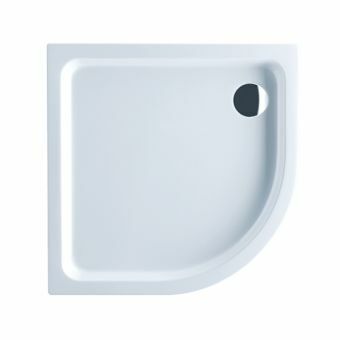 Surface mounted basins offer a fresh, Alpine aspect in a compact form. Created with an open and accessible interface, this is a range with hygiene and cleanliness at its heart. Urinals sport the ingenious ViChange function, which allows the syphon cartridge to be changed without removing the unit. With such innovations, easy maintenance is an asset in the public convenience space. Precisely manufactured and presented, Architectura is entirely fitting of its name. Hygiene, efficiency and user-orientated design lie behind the ViConnect and ViClean lines. Intended to create a bathroom or WC space with as seamless an interface as possible, these options present an exotic new line in luxury WC units. 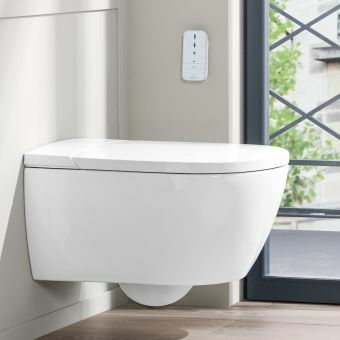 Concealed cisterns and flush plates are the ideal solutions for use with wall mounted or back to wall WC units, complementing the whole line of Villeroy and Boch ceramic toilet suites. Capable of being installed into a range of applications and scenarios, ViConnect is a comprehensive system for the modern, concealed toilets. 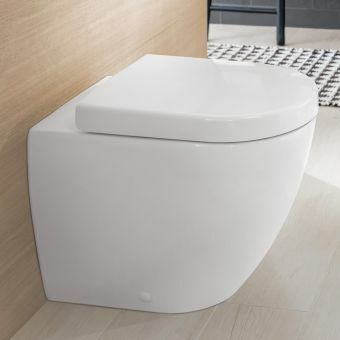 The concealed Villeroy and Boch Toilet Cistern can be used with all Villeroy & Boch Wall Mounted Pans as well as most Wall Hung Pans from different manufacturers. 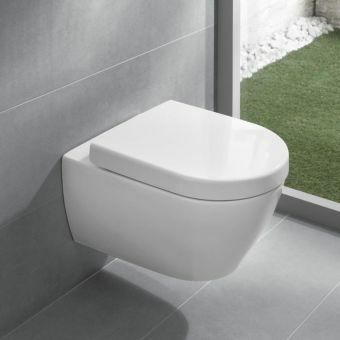 The same can be said for the concealed Villeroy and Boch Cistern, which can be used with Villeroy & Boch Back To Wall Toilets & Non-Villeroy & Boch Toilets. If you have any questions about compatibility then please feel free to call our sales line. Green credentials are a foundation of the design of ViConnect, with an adjustable dual flush function leading to a reduced environmental impact and reduced long-term running costs. When used in conjunction with the matching ViClean products, a pure and modern arrangement is achieved with a focus on hygiene. Wall hung models with electronic seats are fitted with an Asian style water-based cleaning system, rather than traditional paper, giving a fresh experience that is clean and comfortable. Meet Villeroy and Boch Loop and Friends. Toying with geometric shapes to give a friendly and open atmosphere to the bathroom, the pieces in the Loop and Friends range come in oval, round, square and angular styles to cater for a variety of needs. Winner of the Red Dot Design Award in 2012, Villeroy and Boch demonstrate its design prowess in Loop and Friends. 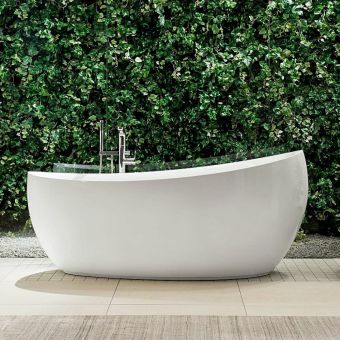 With bathtubs that feature rectangular exteriors and oval interiors, this playful use of shape translates into a comfortable bathing experience. 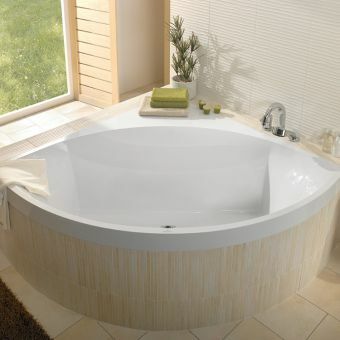 With the option to fit Loop and Friends baths with whirlpools, a refuge of total luxury can be achieved. 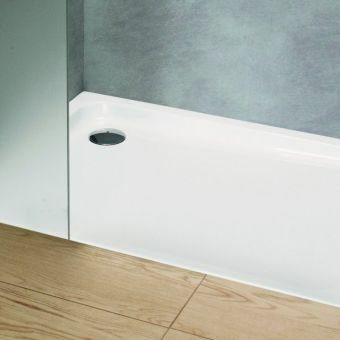 Installation options are kept open as well, with basins supplied in recessed, surface mounted or wall mounted designs to allow for a variety of bathroom layouts and arrangements. Fully recessed handles add to the streamlined cleanliness projected by Loop and Friends. Building on the outstanding success of the iF design award winning 2003 Aveo range, the New Generation of Aveo products continues the themes of smooth, organic designs and a strong sense of functionality. The Aveo New Generation collection offers luxury sanitary ware created to the most exacting of standards. 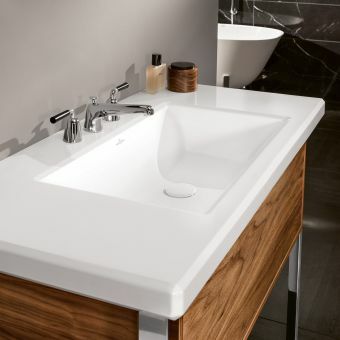 Soft curves of the basins and bowls are balanced with the natural tones of the Aveo furniture. Dark Oak and Pure Oak cater for light and shade accordingly. Treated with the CeramicPlus treatment as standard, each item comes with this specially formulated coating that merges water droplets to run off the surface of the ceramic to leave you with a factory-fresh product after each use. Featured in the image above: Villeroy and Boch Aveo Toilet & Bidet, Villeroy & Boch Aveo Vanity Unit & Basin And the Villeroy and Boch Aveo Bath. Named after its ultra slime line, 12mm edge, the Villeroy and Boch Square Bath range is a feat of contemporary bathroom ware design. Crisp and concise, its unique aspect brings a unique edge to the bathroom. Winner of the highly prestigious Interior Design Award 2014, the qualities of Squaro Edge baths are apparent. Using the patented Quaryl material throughout the bathtubs, this special blend of materials is non-slip, heat retaining and soft on the skin, leading to an all-around balance of comfort. Integrated into the rim of the bath are an overflow and filler, keeping its profile trim and unbroken for ultimate visual appeal. Ultra modern in appearance, the Squaro Edge 12 is available in the monochrome palette of White or Graphite Noir, hinting at the continental, Art Deco chic that sits at the heart of its design. An unrepentant romantic at heart, the beauty of La Belle shines throughout each piece. Harking back to the classical period of continental interior design, La Belle is one of the most elegantly realised lines from Villeroy and Boch. As a collection, La Belle synchronises with the other pieces effortlessly, lending the interior a highly sophisticated aspect and a harmonious nature. Furniture is crafted with a delicate appearance with a robust integrity, with luxury personified in cabriole legs and velvet interiors. 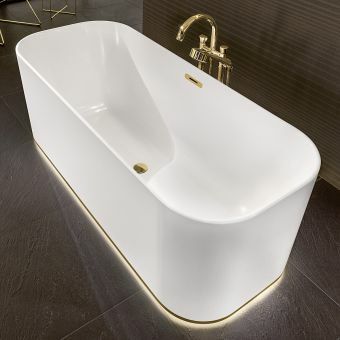 Basins are realised with a broad, open appearance, and treated with CeramicPlus to prevent staining and Drawing from the Art Deco movement, La Belle bathtubs are stylish statement pieces in their own right. Crafted from Quaryl, this hi-tech blend of materials radiates heat effectively for a fully satisfying soak, every time. Light, air and space come together around Futurion, bringing a glimpse of the future into the here and now for the ultimate in leading shower enclosure design. 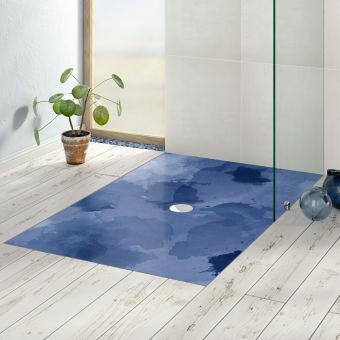 This range of flat shower trays, precisely engineered by award-winning design house Villeroy and Boch is the perfect starting point to find the anchor for your dream shower space. For the designer with their eyes on both the present and the future, Futurion stands out from the crowd. Square and rectangular trays cater for recessed or standalone enclosures, with an array of sizes on offer. 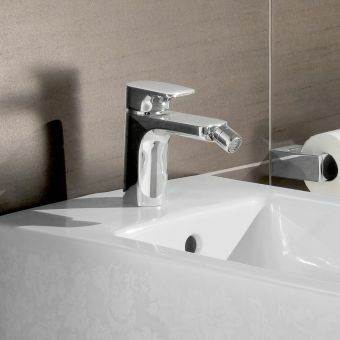 Formed from the Quaryl composite material, exclusively designed by Villeroy and Boch, this high tech solution is easily moulded for more precise fittings while retaining a scratch resistant surface. The V&B Finion is the latest range from Villeroy & Boch and was released in 2017. The range has been expertly crafted by leading product designer Patrick Fey. The range its self is the subject of a variety of world recognised industry design awards such as iF Design Award and the Reddot Design Award. At the heart of the design of Finion is a unique approach to how light is used in the bathroom. 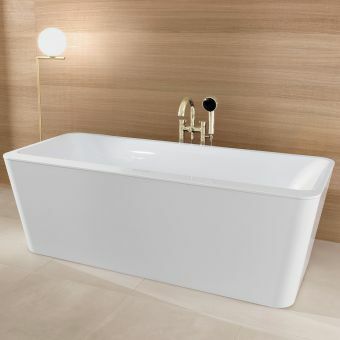 This is done to great effect, and pieces such as the freestanding bath look like they are floating within your bathroom. Stepped rim, pure forms and a timeless aspect give Hommage the credentials to fit into both the traditionally inspired interior as well as the contemporary space. Wearing its early twentieth century influences proudly, Villeroy and Boch pay homage to that golden era of interior innovation. Merging time-honoured sophistication with cutting-edge technology, the baths in the Hommage range utilise Quaryl. A unique blend of quartz crystal and acrylic materials, it absorbs and radiates heat for a perfect soak each time. Easily added to Hommage sanitary ware is the CeramicPlus treatment, formulated to protect the surface from staining; a wise choice for the bathroom that features regular usage. Proudly using the natural beauty of wood and marble, Hommage demonstrates the Villeroy and Boch expertise in tastefulness and colour balance. Sprightly and clean, Joyce has all the qualities of contemporary design flavoured with retro chic. Specialising in a line of bathroom furniture, vanity units and sanitary ware, Joyce by Villeroy and Boch add a Crafted to the highest quality, these are luxury pieces with a character all of their own. 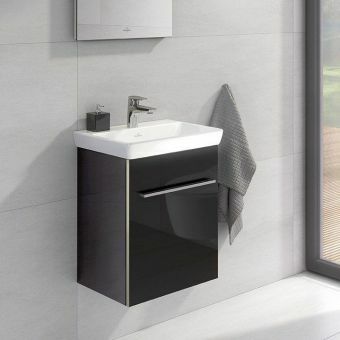 Joyce vanity units are a desirable statement piece, fitting contemporary trends for fresh furniture pieces with total convenience of storage and function while remaining fully applicable to the bathroom, en-suite or guest room as required. 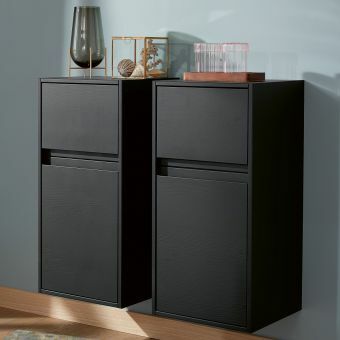 Incorporating the innovative App surfaces, these pieces feature one size fits all alcoves and recesses to handily store compatible App bathroom accessories with ease, allowing you to customize your surfaces freely. Linear styles form the foundation of Memento, a refreshing collection from Villeroy and Boch. 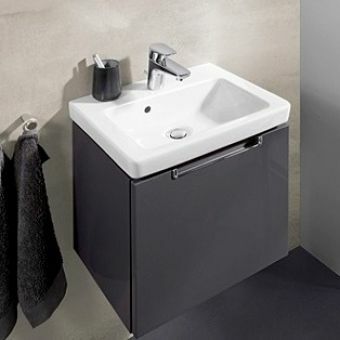 Rectangular surface mounted basins are perfect for the interior that embraces the minimalist revival, with colour palettes suited to its frugal aspect. With furniture realised in Bright Oak, its natural sheen contrasts perfectly with the White and Glossy Black of the ceramic and sanitary ware. Ceramic, glass and wood come together stylishly To veer away from the austere while keeping the classic form of the pieces, Memento comes with the option to use the New Glory Platinum style, adding a sophisticated floral motif to the exterior of the pieces.